Thank you very much for your encouraging comments and favs. A gorgeous land scape with the hint od the autumn colours A great pov ! What wonderful rolling hills -- a serene rural scene that looks like the ones we see from a moving train in movies. Beautiful landscape capture; looks like your leaves are almost gone! A beautiful country view greatly captured . Love the hills. I like how the land rolls and those pretty autumnal trees. Love the serenity of this. Beautiful scenery, a lovely composition. Lovely composition and the landscape scenes are beautiful. Such a gorgeous country scene. Right out of a storybook! so beautiful. This is so PA. Just beautiful country. I thought it was PA as soon as I saw it. I live in PA as well. Lovely PA shot. 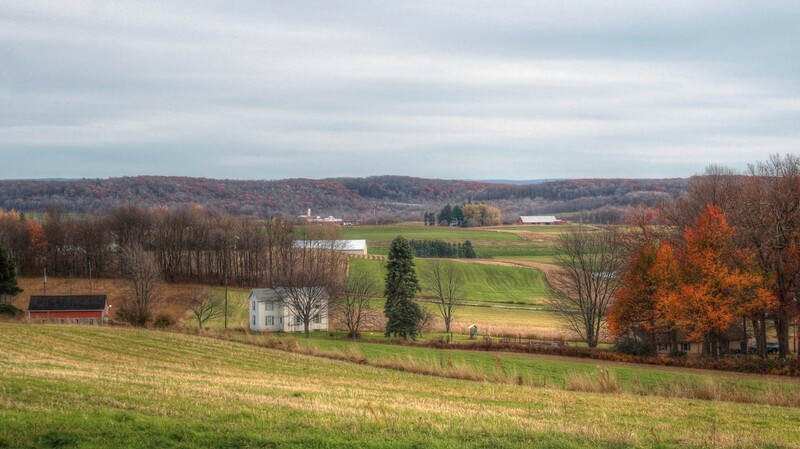 The rolling hills of Pennsylvania! Great farmland capture! Beautiful. I like how the fields appear to be rolling. Now I know what rolling green fields means! It makes sense.